These are beautiful princess cut dresses, in a washable stretchy slinky/lycra material. 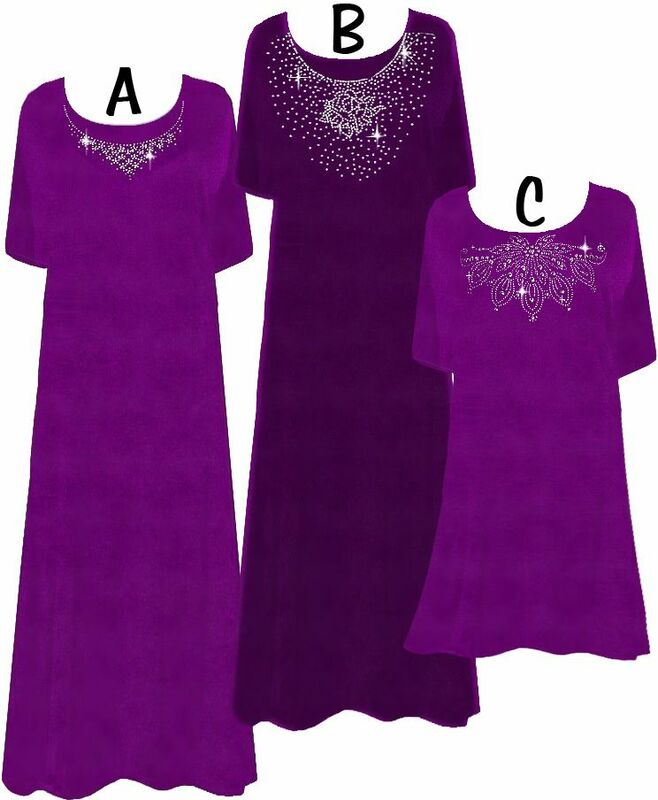 They have a really pretty rhinestone "necklace" around the neckline, that adds just a touch of elegance to this basic purple gown! (or you can order it plain without the rhinestones for $5.00 less) They have a round neck, short sleeves, and they run appx 54" Long. 8x/9x: Chest appx 80", Hips appx 100"
7x/8x: Chest appx 75", Hips appx 95"